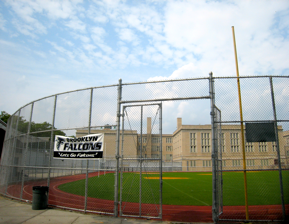 Starting in 1999, an ambitious program to renovate Department of Education sports facilities across Brooklyn (and the other boroughs) was started by Preston Robert Tisch, Tony Kiser and Richard Kahan. With various government grants, the Take The Field program gets three taxpayer dollars for every private dollar, and has rehabilitated a large number of fields, with more to come. To our eyes, the new fields occasionally lack some character, but it's hard to argue with their usability. They are all relaid in Gameday Grass, a type of artificial turf designed to mimic the feeling of playing on real grass. The fields mentioned below have all been remade as part of the Take The Field program. Tilden Avenue, Beverley Road, East 57th and East 59th Streets. 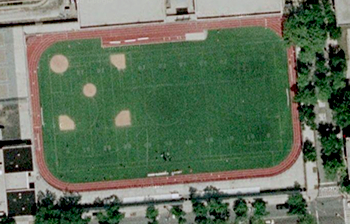 Samuel J. Tilden High School has had this field on campus since 1930. 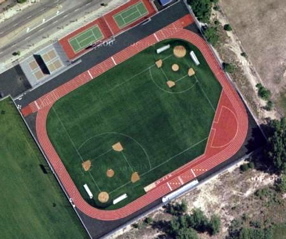 It hosts track, baseball, and football. 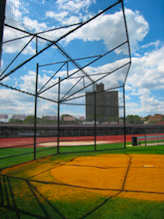 Ben Davidow of Tilden High pitched a no-hitter to defeat Bushwick High 4 to 1 on June 1, 1938. Tilden won the Brooklyn P.S.A.L. 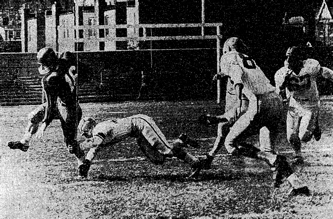 title in 1945, and defeated New Dorp at Tilden Field to advance to the final at Ebbets Field, but failed to take the city title. 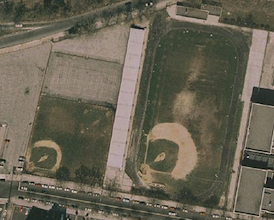 In the 1950s, Tilden Field hosted a regular Little League each summer. Tilden produced major leaguers in Sid Gordon and Willie Randolph. Randolph, longtime Yankee second baseman and later Met manager, made 2210 major league hits including just 54 home runs. S.J.T. baseball disappeared for some time, but the school has returned to the game in recent years. Take The Field spent $1.9 million on renovations here, and the ballfield was renamed Coach Bernie Mars Field. On March 27, 2009, Tilden defeated Clara Barton, in a 5 to 4 comeback win. Barton pitchers Ivan Abreu and Joshua Salcedo struck out 16 between them in 7 innings, but Tilden's Jeffrey Mercedes struck out 19 and allowed just three hits. Bedford Avenue, Avenue P, Quentin Road, East 27th Street. 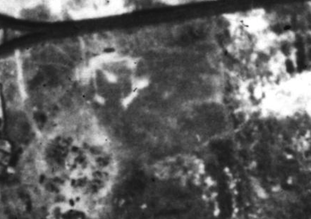 There has been a baseball field at James Madison High School since around 1925, and it remains in place today. As well as games for James Madison and other nearby schools, the venue has seen such odd matches as the United States Bank defeating Newberger, Henderson & Loeb 12 to 4 in 1930. 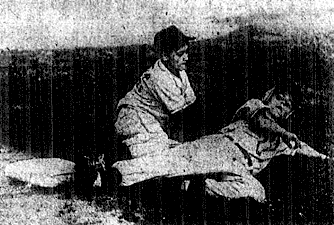 On April 10 of that year, James Madison pitchers Barney Baker and Bill Tissenbaum combined on a no-hitter, but lost to Textile High 1 to 0 after Baker walked four batters in a row with one out in the fourth. 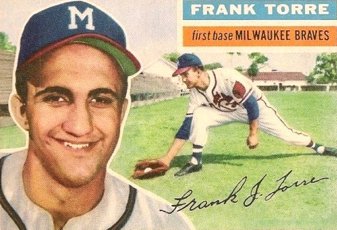 James Madison High's most decorated baseball player was pitcher/first baseman Frank Torre, who went on to play first base in the majors for the Braves and Phillies. He won a World Series with Milwaukee in 1957. On May 16, 1949, Torre blanked Manual Training High, 3 to 0, walking just one and recording a no-hitter. James Madison Field's renovation came at a cost of $4.2 million, and included separation of the football and baseball fields. James Madison High's baseball team dominated its division in 2009, going 13-3 in regular season play, and advanced through three playoff rounds before losing to James Monroe Campus. The biggest win for the Knights was a 19-2 pounding of Canarsie at home on May 9. Designated hitter Edward Lenahan scored four runs, while center fielder Joseph Calascione batted four runs in. Meanwhile the 2009 softball team went 17-0 in the regular season, and won the P.S.A.L. Brooklyn title before losing the city final to Tottenville. In 14 games against Brooklyn based opponents, Madison scored 229 runs and allowed just 1. Ocean Parkway and West Avenue. 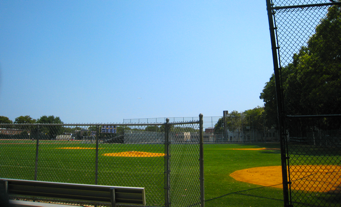 This field is home to the Abraham Lincoln High School, variously known as the Railsplitters and the Honest Abes, and P.S.A.L. baseball champions of 1938. On May 27, 1940, New Utrecht High hurler Harold Levine gave up just two hits here in beating Lafayette 1 to 0. 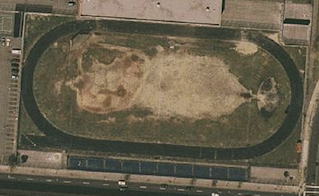 Abraham Lincoln High is still at the same place today, and so is the field. Now officially called the Fred C. and Mary Trump Athletic Complex, the field was relaid in 2002 at a cost of $2.6 million. 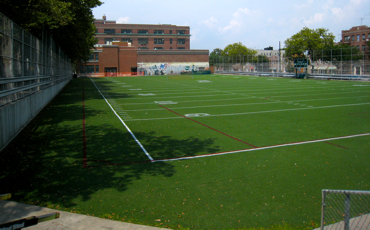 In late 2009, the grass surface of the main field was replaced by artificial turf, primarily to improve conditions for the school's football program. This had been the only Take the Field project with a grass playing surface. 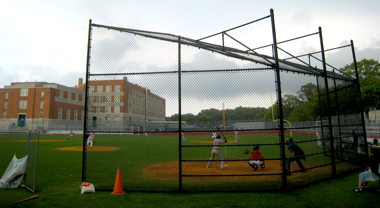 Because of the extremely short right field, only the junior varsity baseball team plays at Lincoln Field, while the main squad plays home games at various local parks. 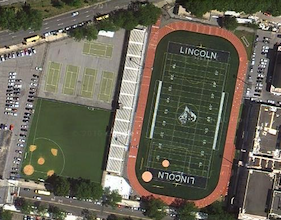 The Abraham Lincoln softball team, however, plays regular home games at Lincoln Field, going 9-8 in 2009 including a 16-1 win in a three inning game against Canarsie at home. Shortstop Lisa Acevedo went 4 for 4, and scored 4 runs. The new artificial softball field is a substantial improvement - in the words of 1998 softball captain Sam Berkley: It was a dump back in the day, but a loving dump. We couldn't have a game after a rainstorm because puddles would pile onto first base. While the school is best known as the alma mater of controversial basketball star Stephon Marbury, Abraham Lincoln High's most famous baseball graduate is Lee Mazzilli. Mazzilli was a heavily hyped Mets draft pick of 1973, and went on to a 13 year major league career, highlighted by 1979 All Star selection and a place on New York's 1986 World Series winning squad. Relief pitcher Nelson Figueroa, another sometime Met, also attended Lincoln High. Schenectady and Troy Avenues, Maple Street, Rutland Road. Originally known as Boys High Field (II). Also, confusingly, known as Old Boys and Girls High Field. 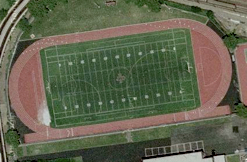 The city purchased land for this field in 1928 at the cost of $260,000, and approximately $130,000 was spent to turn the lot into a first class athletic facility. 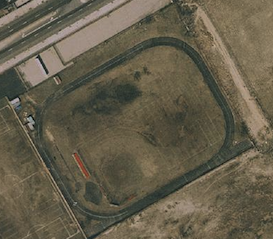 This was then home of Boys High School baseball, football, and track from 1929. 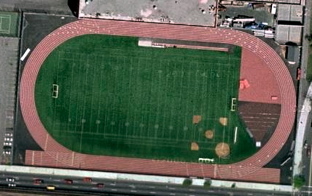 On April 30, 1929, Franklin K. Lane High School took the first game at the field, 6 to 3 over the Boys High Kangaroos. 2,500 fans attended the match. 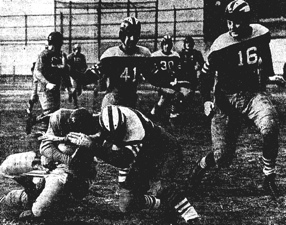 On November 25, 1945, 15,000 spectators jammed Boys High Field to see Cathlic school rivals Brooklyn Prep and St. John's tie their annual football game, 6-6. 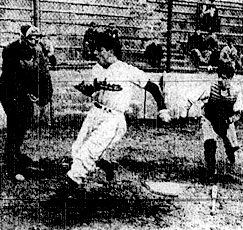 On June 23, 1948, in an American Legion junior game, Crow Hill Post defeated Windsor Terrace Post, 1 to 0. Fitzgerald, a converted second baseman, pitched a no hitter for the victory. 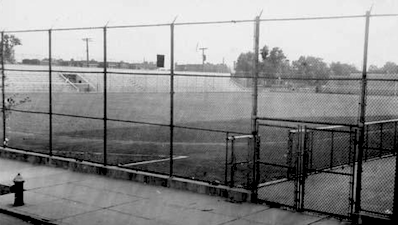 In 1949, Boys High Field was used for tryouts for the Brooklyn All Stars sandlot nine to play the Montreal All Stars at Ebbets Field. 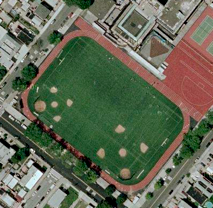 Boys High Field underwent a Works Progress Administration upgrade in 1940, and a further $750,000 renovation in 1967. 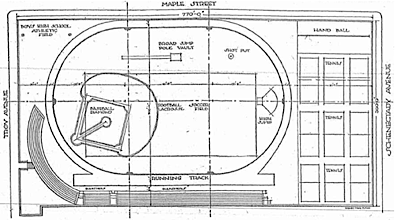 The latter saw the field completely reconfigured, with football being separated from baseball and track, a grandstand and fieldhouse added, and the turf being completely resown. 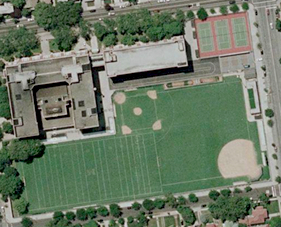 In 1975 Boys High became Boys and Girls High, and moved to a new campus with its own sports field. 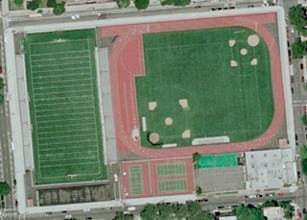 Old Boys High, now known as Marcy Avenue Campus, replaced Boys High, and took over the field also. In 2005, $3.6 million from Take The Field saw another complete renewal. Since that time, both schools have used the field, and St. Joseph's College also plays home games at Old Boys High. Making up for a grade in the surrounding land, Old Boys High Field sits far above the street on the western side, with a concrete wall along Troy Avenue. On the field, the fences are prominently marked with distances from home plate - 310 feet to left field, 473 feet to center, and 308 to left. 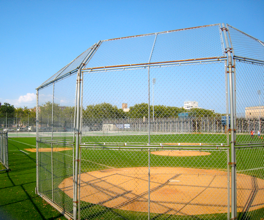 The most notable player to call this field home was then-catcher Tommy Davis, a star in baseball, basketball, and track and field at Boys High in the mid 1950s. In 1956 he signed with the Brooklyn Dodgers, although he did not debut in the majors until they had moved to Los Angeles. Davis, by then an outfielder, went on to win two World Series rings with the Dodgers. 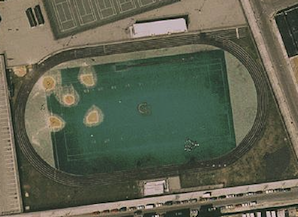 Also known as Paul Tudor Jones Athletic Field, after the local financier. This has been the one of the homes of Boys and Girls High School, the Kangaroos, since 1975. The baseball team has been middling in recent years, in and out of playoffs and returning an 8-8 record in 2006. The most famed sports team at Boys and Girls High has been the girls track team, which set a national record for the 4x800m relay in 1981. The $3.6 million renovation here took a threadbare field and made it into another gem, although only the softball team plays here regularly. In 2009 the Kangaroos achieved an 18-1 record, scoring 15 or more runs eight times. The 2010 squad was also high scoring, twice going over 20 runs, but a number of upset losses cost them dearly, and they finished second in their division at 11-6. The most notable loss was a crazy game against underdog William H. Maxwell at home, 22 to 15. The Lady Kangaroos scored 8 runs in the bottom of the sixth to get back in the game at 17 to 15, but Maxwell scored 5 in the seventh and hung on. North of Bath and 27th Avenues. Lafayette High School, founded in 1939, has played baseball here for most of its history. The team's most famous export, Sandy Koufax, was a first baseman during his high school career in the early 1950s. John Franco also played at Lafayette. Richie Branch pitched a no-hitter for Lafayette against Wingate on May 18, 1956, giving up just one walk in a 9 to 0 victory. 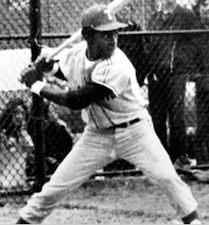 The late 1950s was an especially golden time for Lafayette High's baseball team, which won the PSAL championship of Brooklyn in 1957, 1958, and 1959. 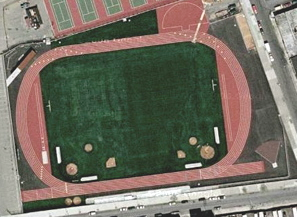 The field was rehabilitated at a cost of $4 million, and lost its unique triangular shape in the process. 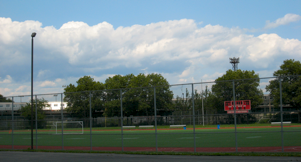 It is now known as Coach Harry Ostro Athletic Complex, and hosts local amateur games as well as high school matches. The 2009 Patriots notched an 11-5 record in the regular season, highlighted by pitcher Conner Quinn's one hitter in a 20-0 win over Prospect Heights. In their first playoff game, the Lafayette nine met Boys and Girls High at Lafayette Field. After the regulation seven innings, the score was 0-0, then each team scored a run in the first extra inning. Finally, in the bottom of the ninth, the Patriots scored the winning run, making a winner of second baseman Juan Jimenez, who had relieved starter Kelvin Ramirez with a scoreless ninth inning. Grand Street and Bushwick Avenue. 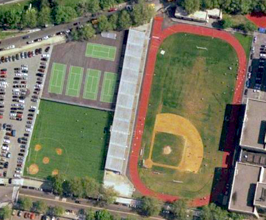 Eastern District High School, now Grand Street Campus, moved to its new $46 million site in 1981, and the campus was equipped with a large, Astroturf surfaced athletic field for football, track, tennis, softball, and of course baseball. The school was split into three smaller units and the campus renamed in 1996. The Wolves of Grand Street Campus have been a major baseball power in recent years, going 82-13 in regular season games from 2001 through 2006. On May 1, 2006, Dellin Betances set a school record with 20 strikeouts, pitching a two hitter to defeat John Adams High 5 to 0 at GSC Field. Betances was later drafted by the New York American League franchise. The Lady Wolves softball team is a power also, going 11-0 in the 2006 regular season. Renovation of GSC Field cost $5.7 million. Flatlands Avenue and Berriman Street. Also known as Moe Finkelstein Field. 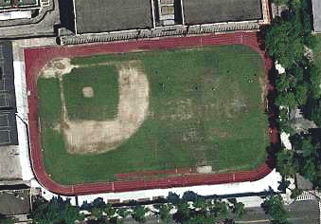 This field was built around 1969, when new buildings for P.S. 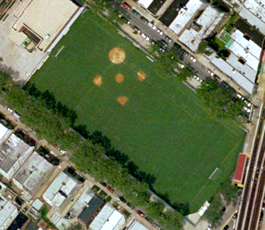 13 were erected on the site of the old Jefferson Field (II). The neighborhood around the field was almost completely undeveloped at the time, and even now the area remains sparse and remarkably quiet. In 1982, big league scouts flocked to Jefferson Field to watch teen phenomenon Shawon Dunston. 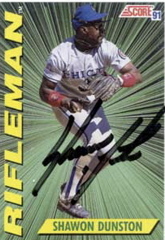 In four years at Thomas Jefferson High, he totalled 25 home runs and hit .380, .420, .450, and .790 to finish up as number one draft pick, taken by the Chicago Cubs. Sadly, Jefferson Field did not receive such royal treatment, and by 2002 was unusable, although a steel drum festival in 2001 had drawn a crowd of 8,000. The Orange Wave played solely as a road team for a time until renovations, costing $4.2 million, were completed in late 2003. The 2009 Jefferson team started the season in amazing fashion at home, backing up a no hitter from Raymond Maldonado by scoring 17 runs in the first inning en route to a 24-0 win over lowly William H. Maxwell. Maldonado struck out 14 in the five inning affair. Catcher Mayker Lopez struck out three times, but in his remaining at-bat he smacked a grand slam home run. Flatlands Avenue, Glenwood Road, East 78th Street. 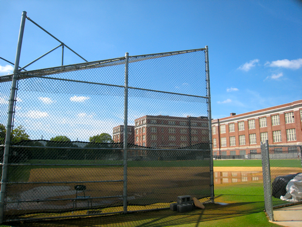 For years, South Shore High's fields steadily declined from a lack of funding. Despite having won several championships in baseball and football, students became less and less keen to play on a field known as "The Rock." 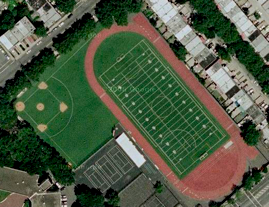 $4.3 million of repairs later, however, South Shore High became a powerhouse once more, going 14-0 in 2006 before eventually losing to a very strong East New York Transit Tech squad in the P.S.A.L. playoffs. Officially, the site is now called John C. Whitehead Field. 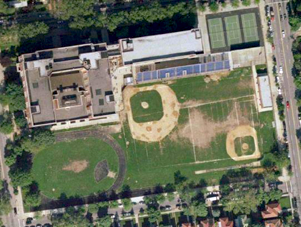 South Shore High School was phased out after 2007, and replaced by four smaller schools using the same campus. One of those, still carrying the South Shore Vikings name, tries hard but is limited by numbers from achieving sports success. The baseball squad went 1-15 in 2009, with the only win being a forfeit by Prospect Heights. The softball team did better, going 6-9 including a 22-2 home win over Lafayette. Stillwell Avenue, Bay 50th Street, Avenue Y. This stadium, originally known as Fewster Field, dates to 1932, when the Eagle referred to it as "Brooklyn's newest and largest ballpark." The field had a capacity of 7,500 when opened, which was expanded to 20,000 by the end of the 1932 baseball season. In keeping with the coming trend in baseball, lights were installed for night matches. 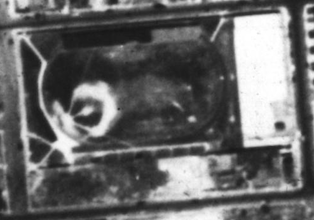 Former major leaguer Chick Fewster had owned the field to begin with, but his company defaulted on payments, and the venue was acquired by the city in 1933. 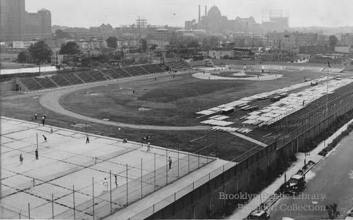 It was baseball home to Brooklyn College and Fewster's semipro Brooklyn Kings, as well as several high schools from around the Coney Island section and further afield. In football, another Kings squad played from 1933, as did various high schools. The football Kings, formerly the Bay Parkways, attracted much attention after becoming a farm team for the Brooklyn Dodgers. Soccer, rugby, amateur boxing, track and field, lacrosse, and motorcycle racing also featured on a crowded bill of fare. On April 13, 1934, brothers Sam and Joe Nahem shared a no-hitter for Brooklyn College as they defeated St. Peter's of New Jersey 12 to 0. Although they walked ten, the brothers also struck out 15 between them in a stunning varsity debut. On May 28, the Maroon and Gold defeated City College 6 to 4, on Matty Rup's two run homer in the bottom of the ninth, to finish the 1934 season. Brooklyn College's record stood at 10-3, the best of any varsity squad in the New York City region. After a hugely successful run of Italian plays and other performances for Piedigrotta Festival in September, 1935, the stadium was renamed Metropolitan Lyric Stadium in 1936, and chiefly used for outdoor concerts. A crowd of 12,000 attended Bizet's Carmen in August of that year. 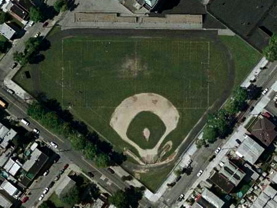 In the 1940s the field hosted soccer matches, as Coney Island Field (II). 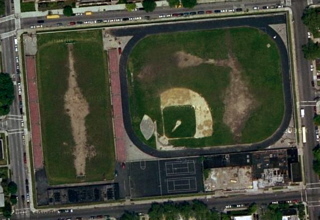 John Dewey High School, founded in 1969, stands on the site today, and photographs show a baseball field on the lot in the years between stadium and school. 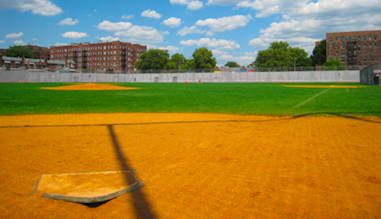 The school's multi-sports field, used only for intramural competition, was renovated around 2004 by Take The Field, and still boasts baseball and softball lines and foul poles. Avenue Y and Coyle Street. The Sheepshead Bay Sharks were the model of a .500 team from 2004 through 2009, never going higher than 9-7, not lower than 7-9. In 2010, however, things took a turn for the worse with a 4-12 season. 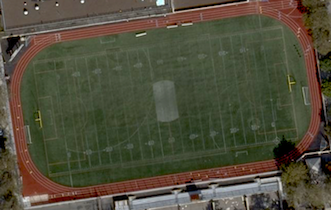 At Sheepshead Bay High Field, a 17 to 0 rout of Canarsie on April 14 was the year's highlight. Second baseman Lonnie Martinez drove in 3 runs, scored 3, and stole 3 bases. Unfortunately, two days later Fort Hamilton visited and trounced Sheepshead Bay, 22 to 0. While the team may not be championship calibre now, the school has produced at least one major leaguer. 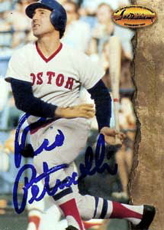 Rico Petrocelli, of the class of 1962, played shortstop, third base, and pitcher for the Sharks, and went on to hit 210 home runs and reach two World Series playing various infield positions for the Boston Red Sox. 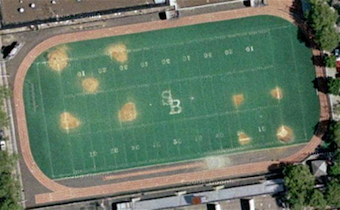 Rebuilding Sheepshead Bay High Field cost $2.3 million, and replaced an Astroturf surface with the newer, more forgiving Gameday Grass. 79th and 80th Streets, 17th Avenue. 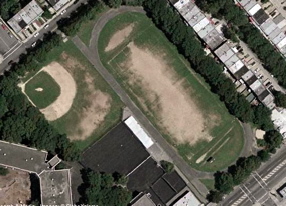 On September 14, 2002, after decades playing on other people's fields, New Utrecht High School's football team played its first ever true home game on this formerly garbage strewn vacant lot behind the school, which used to see neighborhood softball games between the braver local kids. New Utrecht High defeated South Shore, 21 to 7. Take The Field put more than $2 million into the new facility. While the field is too narrow for baseball, New Utrecht High's softball team plays home games here. The squad struggled through a 4-13 season in 2009, with three of the four wins coming at home. On May 1, the Utes recovered from an early 2 run deficit to eke out a 3-2 win over Midwood. Center fielder Angela Cipriano stole three bases and scored two runs, while pitcher Caroline Watson took the win.